London Zoo attracts a wide and varied audience, far beyond the family audience one would expect. It had been undergoing many changes to allow visitors to get closer to the 650 different species of animals. In stark contrast, their identity was in danger of perpetuating the idea that zoos are old fashioned, full of concrete enclosures and out of touch. 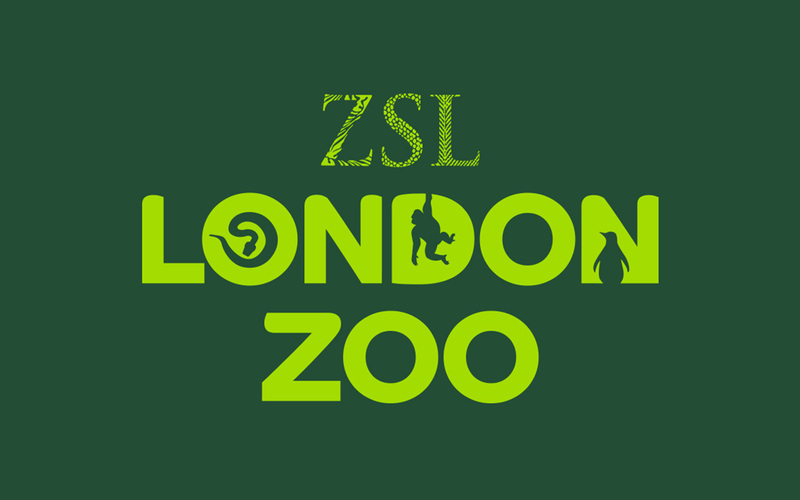 The brand idea for London Zoo was about getting closer to wildlife. Therefore the identity needed to be an expression of this. Unfortunately the existing identity played into how zoos used to be: an animal on top of some type, as if it was sitting on a pedestal for people’s entertainment. We brought the client into the process, inviting stakeholders from different areas of the business, from oversees conservationists to the gift shop manager, to our creative workshops. The sessions drilled down into the real world needs of the new identity, generating debate and ideas in tandem. This resulted in a new identity where multiple animals interacted with the type to give a sense of the experience that visitors could expect. We developed the typography look, using a more organic and almost leaf-like font, which has now been adopted across the group. Our design toolkit helped launch the identity and guide the zoo’s roster of creative agencies. 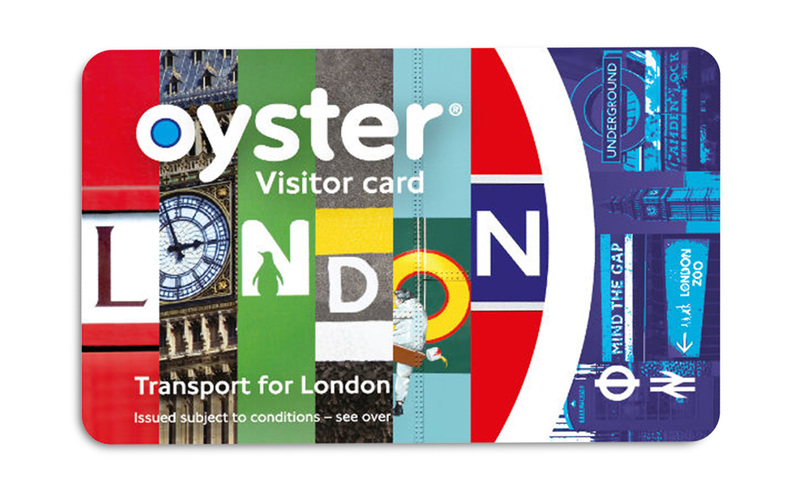 The new mark has become a London icon, so much so, that part of it now appears on another London icon: the Oyster card. In addition to the work for London Zoo, we developed the identity for sister attraction: Whipsnade Zoo. It was critical that a clear brand architecture was established and the two zoos were seen as siblings, but not twins. 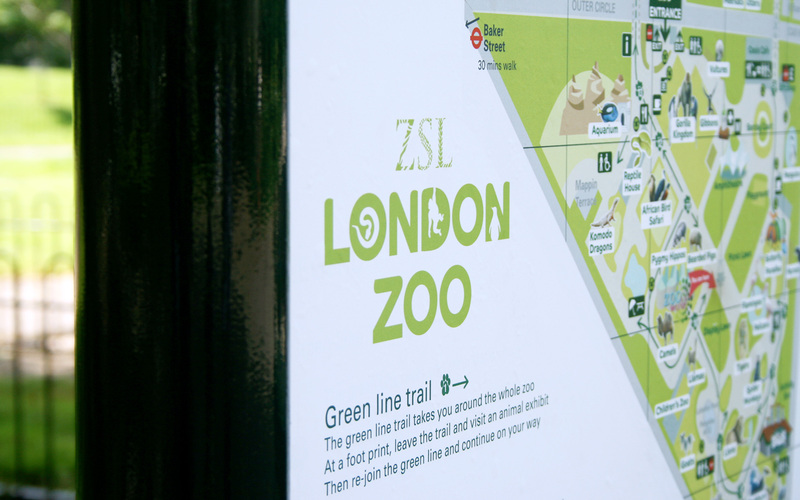 ZSL were keen to retain a sense of Whipsnade’s own personality rather than piggyback London’s. 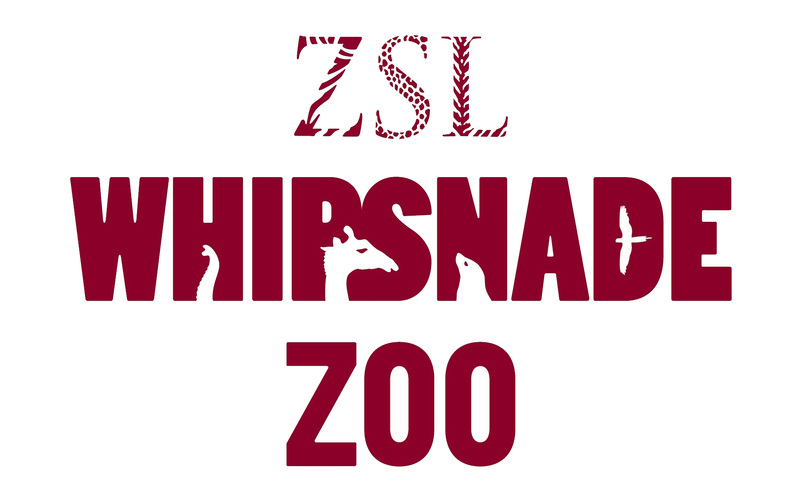 We used the same technique to incorporate the animals into the typography, but the typeface and animals we selected were more demonstrative of the scale of the site, and the type of animals at Whipsnade.